Work pressure, family drama or relationship troubles — no matter what it is that plagues your day, meditation is on the rise as one of the top ways to combat stressful urban lifestyles. 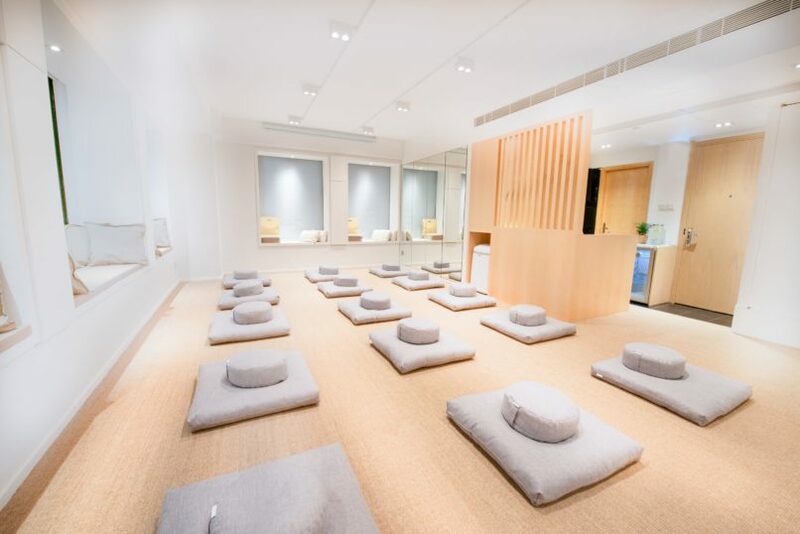 Newly opened in Central is Enhale Meditation Studio, a boutique centre that hosts wellbeing workshops to help high-strung individuals find a slice of zen whenever they can. If we regularly book ourselves into the gym to take care of our bodies, so should we also carve out time each day to care for our minds. Like a training gym for the mind and soul, meditation is one method to help us elevate and train optimistic thoughts, in turn creating a healthy coping mechanism to create peace and emotional balance while banishing volatile, anxious thoughts. On top of helping you purge your mind of all the junk we accumulate throughout the day, it’s also been cited to physically improve your brain function in emotional regulation and focus; and in the long run, regular meditation can also help improve your memory and ability to multitask. An incredible range of classes are available at Enhale — more than you’d find at most regular gyms around town. There’s Awareness, a “bootcamp for the brain” that helps you identify the current state of your body and mind and cultivate mental discipline. There’s Breath Work, which helps you optimise your breathing for the best health — claiming to help improve the body’s alkalinity, efficient oxygen utilisation, digestion and even in reducing inflammation. It’s also great for athletes looking to get better performance. There’s Mindful Art and Calligraphy sessions to learn new ways of expression as well as connect with your deeper thoughts and insights. There’s also Reiki healing sessions, Sound Baths (our favourite), Yogic Sleep or Yoga Nidra (amazing for insomniacs and Savasana-enthusiasts), and even quiet Tea Ceremonies that call for reflection and clarity. 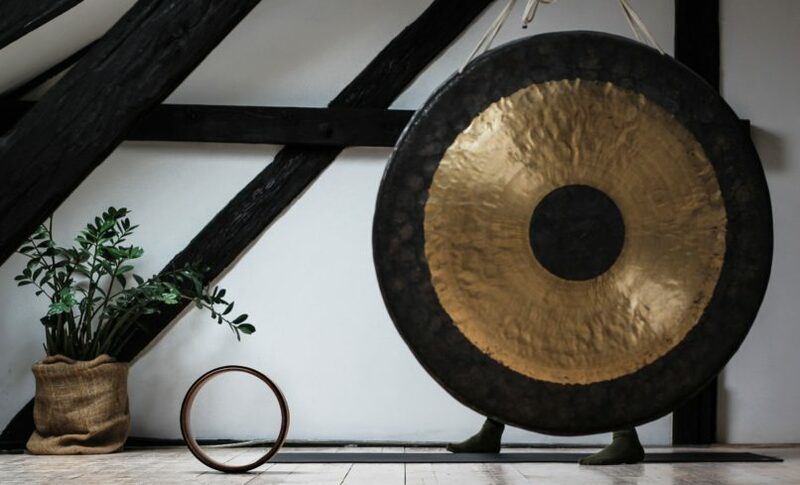 At our recent visit to Enhale Meditation Studio, we sat in for a 45-minute Sound Bath with sound coach Malbert Lee, who first sought out the benefits of sound healing to ground himself during a hectic career as airline cabin crew. Trained in the art of quartz singing bowls and gong healing with a number of teachers worldwide, he coaxed a class of 15 or so into a restful sleep through the heavy vibrational healing of the gong, then later through a cleansing surrender thanks to the twinkling chimes of the delicate singing bowls. Despite the crowded class — cocooned in blankets while laying down on squared cushions atop the studio’s rattan flooring doesn’t leave much room — the feeling of refreshment and clarity when we ended the class was palpable, and definitely can get addictive. Hopefully, smaller classes can allow for participants to spread out as much as they need. Classes can be purchased with a credit-based membership, or on a per class basis with prior booking required; no single-class drop-ins are available.